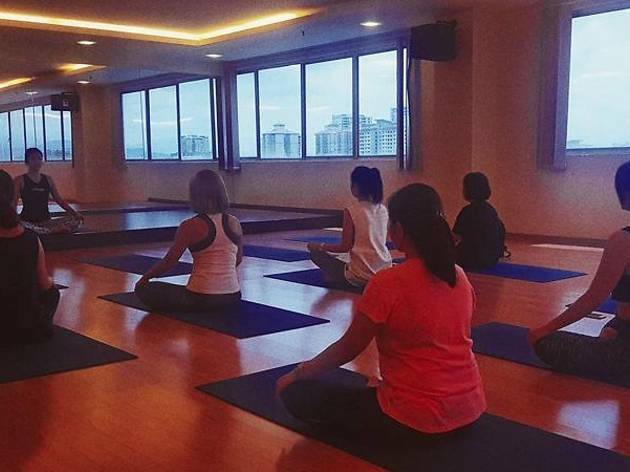 Whether you're looking to burn those calories through hot yoga or just in the mood for an easy stretch to unwind the body, these yoga classes in KL will fulfill those needs, one yoga pose at a time. 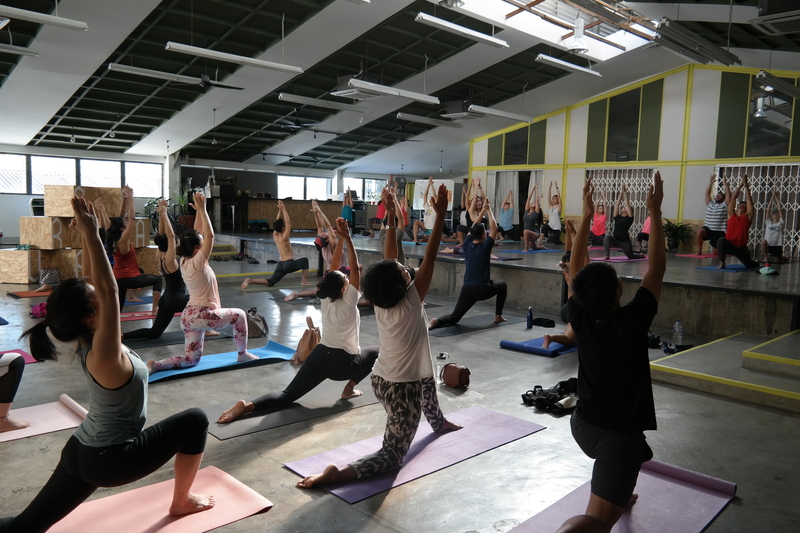 If you’re looking to get some zen on the cheap, APW’s Uppercase organises weekly community yoga classes every Saturday morning for no charge. You’ll learn a ‘multilevel dynamic’ form of yoga with certified instructor Robyn Lau, an active yogi since 2005 known for her strong, energetic yoga flows. She’s also a teacher who strives on creating a supportive environment for her students – so don’t worry if you’re new to yoga. There’s no registration required, just come early and bring along your own yoga mat, and you’re all set for an hour of calm-inducing, stress-relieving yoga. Free; Every Saturday from 9-10am (depending on availability of space). Blanketed in muted shades of white, the Journey Within Studio doubles as both a yoga centre and book café. 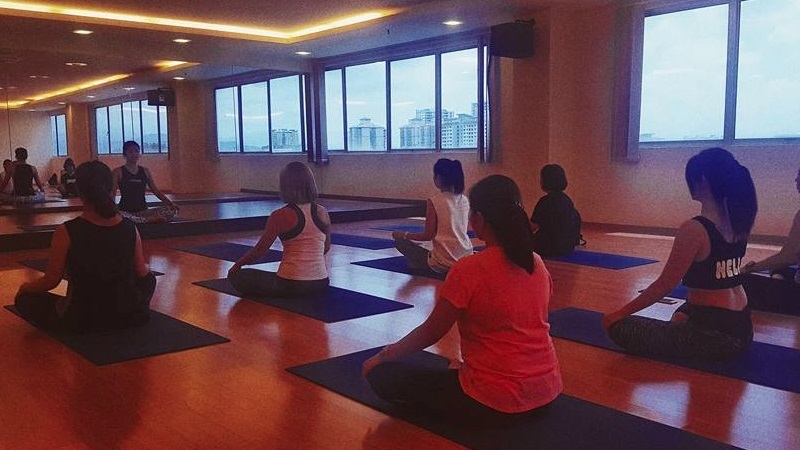 Not only can you attend their multiple yoga classes – including a Perfect Start yoga course that introduces the basics of flow-style yoga to relieve stress – but it’s also a place where fellow yogis can retreat to and meditate. If you’re not in the mood to attend a class but still wish to relax, nestle down with a book from their LIFEbrary, which has over 5,000 books covering topics like yoga, meditation and other holistic subjects. Contrary to their name, you don’t have to worry about leaving classes here feeling sore. Mysore Room offers classes catering to various levels, so whether you’re a newbie or you’ve been practising yoga for years there’s bound to be something suitable for you. 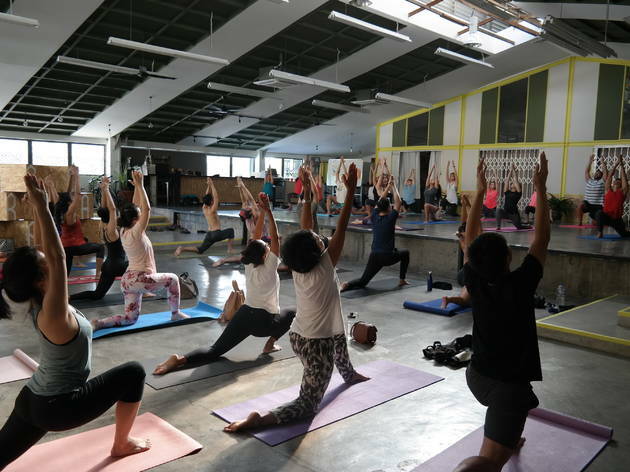 The centre follows the teachings of Ashtanga yoga, and practise an open format class where you’re only in the class for the duration of your practice and instructors will work with you at your own pace. Worried about not being flexible enough for yoga? Don’t be, as classes here cater for newbies and advanced practitioners, with styles that range from the traditional to the modern including fitball, forrest, hot flow, restorative, hatha and vinyasa. For the more adventurous, their fly yoga classes will have you doing stretches and poses while suspended in mid-air. Expecting mums can also join the fun with their prenatal yoga classes. Mat yoga, RM108 for 4 classes; Aerial yoga, RM250 for 10 classes. 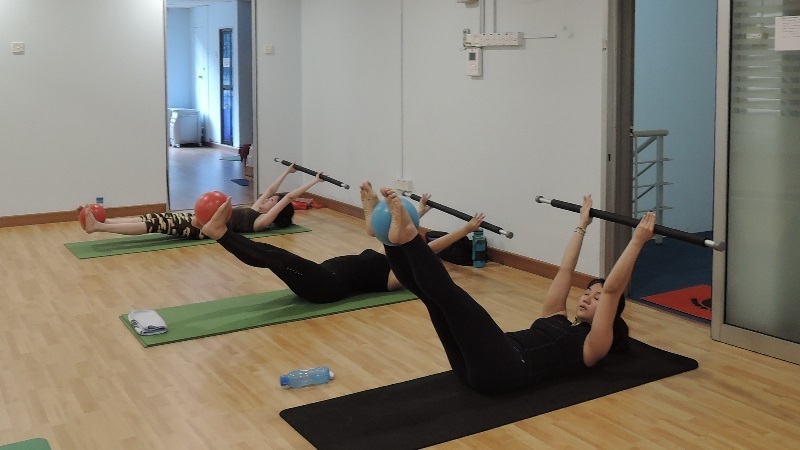 mYoga has been around for more than ten years now and offers a plethora of classes not only limited to yoga; also available are Pilates, dance, body toning, cardio and group indoor cycling classes. Easy stretch classes are suitable for beginners, while ; while the more experienced practitioner can challenge themselves with Hot classes, which features more difficult poses and are conducted in a heated room. From RM318 per month for unlimited classes. 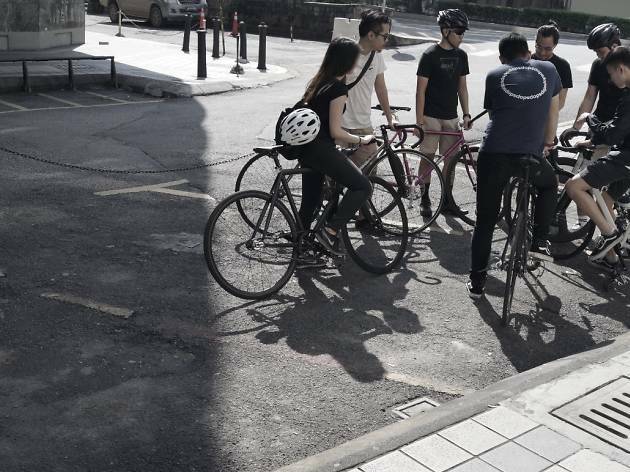 If you're looking for more outdoorsy activities instead of indoor hobbies like calligraphy or watercolour painting, join these cycling clubs in KL and PJ. 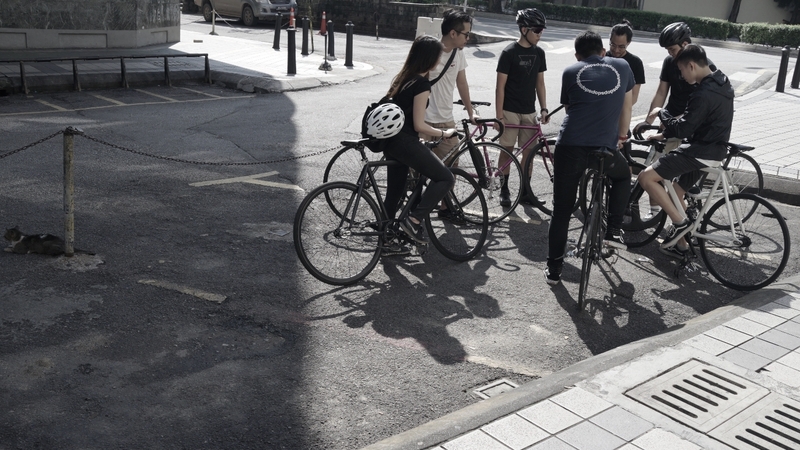 From fixed gear wheels to fun rides with edge, you'll be whizzing your way through the city in no time.